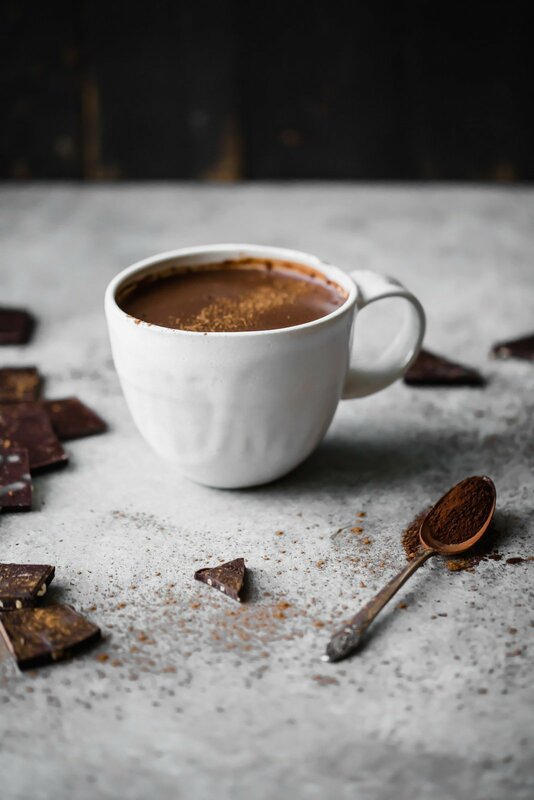 Incredibly cozy, healthy vegan Mexican hot chocolate that’s perfectly sweet with a hint of spice — made with a blend of almond and coconut milk. This recipe is in partnership with McCormick Spices. 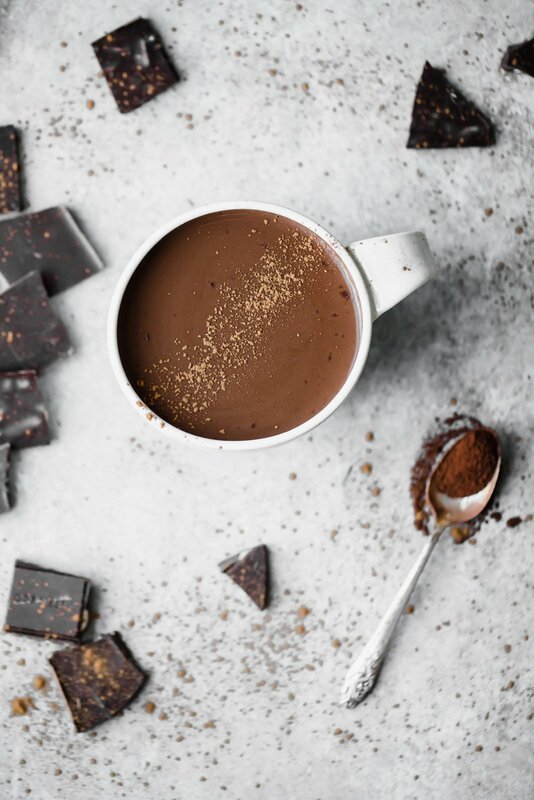 Forget the whiskey, hot chocolate has always been the best kind of night cap. Like many of you, I’ve adored a cozy cup of hot chocolate ever since I was a little. And I should share that I’m more of a whipped cream girl rather than a marshmallow lover. How about you? 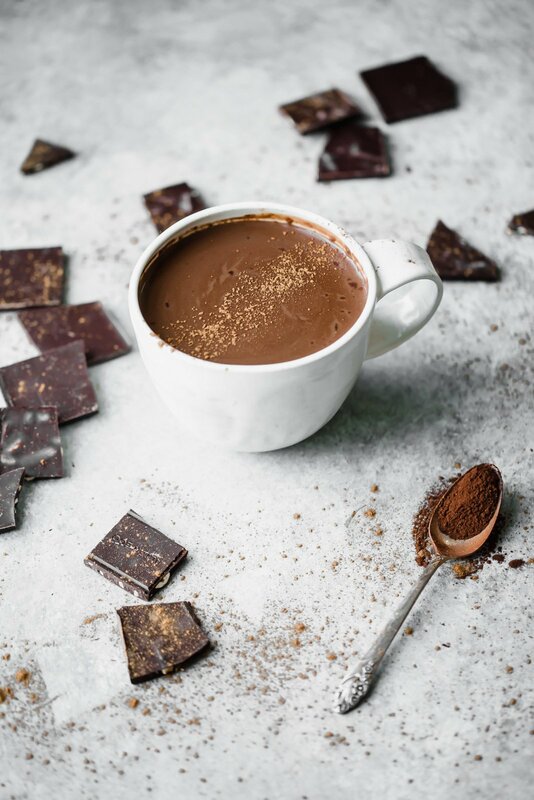 Today I’m sharing a homemade vegan hot chocolate that’s healthier than the packets you used to have as a kid. It’s made with a mix of almond milk and coconut milk, dairy free dark chocolate, cocoa powder and just a few other ingredients. Most of you all know that I basically can’t make a regular version of anything. I have to spice it up, add something creative and call it a fancy name. Makes my world a little brighter. And same goes with this. I decided to add hints of cinnamon and a little spice from cayenne pepper to make it a little fancy, sweet, spicy and everything nice. Let me make a note to myself right now that I should stop trying to rhyme in recipes. 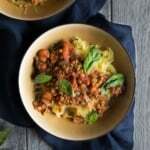 My friends over at McCormick asked me to create some recipes for their Flavor Forecast campaign – where they’ve identified food trends for 2018, I jumped at the chance to stir up some goodness for the “Drink to your wellness” trend. 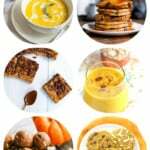 My delicious recipes for sippin’ started with this 24k Gold Vanilla Turmeric Latte (a must-try) and now includes this Healthy Vegan Mexican Hot Chocolate! 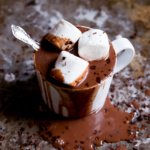 This hot chocolate is unlike any I’ve made before. 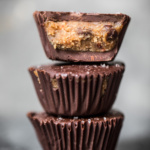 It’s creamy and decadent while being dairy-free, and has a real, rich chocolate flavor that you won’t get from that basic Swiss Miss shiz. 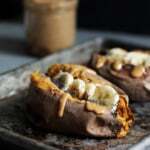 I used McCormick Ground Cinnamon and a pinch of McCormick Ground Cayenne Red Pepper for a flavor combo that will make you sink into a coma as you binge watch old episodes of Grey’s Anatomy. 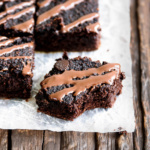 This recipe can be easily adapted to your sweetness preference, too. Just add a little coconut sugar to sweeten it up, or feel free to leave it out if you like it as is. Oh and it’s obviously perfect for Valentine’s Day evening drink. Cheers! I hope you love this hot chocolate as much as we did. xo! 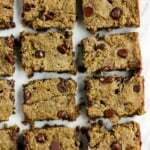 If you make this recipe, be sure to leave a comment below and rate it! You can also snap and picture and post it on Instagram using the hashtag #ambitiouskitchen. xo! 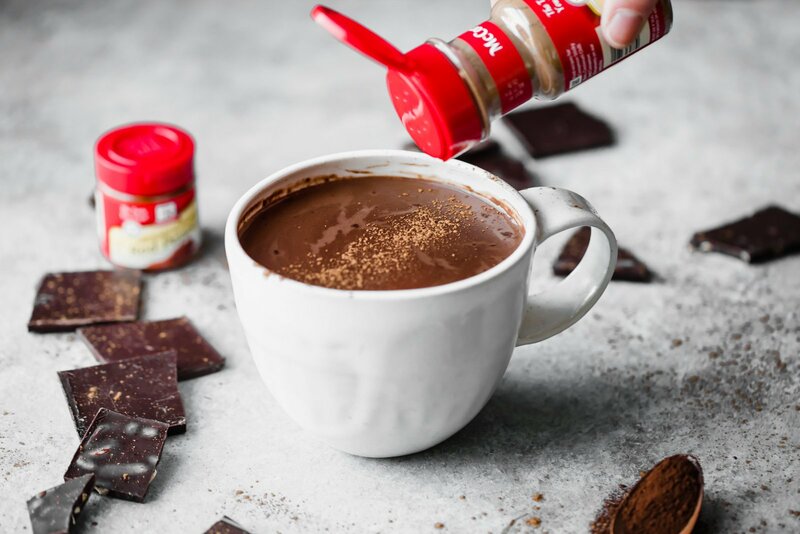 Incredibly cozy, healthy vegan Mexican hot chocolate that's perfectly sweet with a hint of spice -- made with a blend of almond and coconut milk! In a small pot, add coconut milk, almond milk, chocolate bar pieces, cocoa powder, cinnamon, cayenne pepper, salt and coconut sugar. Whisk together and bring ingredients to a boil, then reduce heat to low and simmer for 3-5 minutes to reduce the mixture a bit; stirring occasionally. Pour into 2 small mugs, then sprinkle with a little ground cinnamon on top, or add a cinnamon stick. Enjoy! This recipe is sponsored by McCormick Spices, a spice brand I use in my kitchen. Thanks for supporting AK and the brands that help make this site possible! 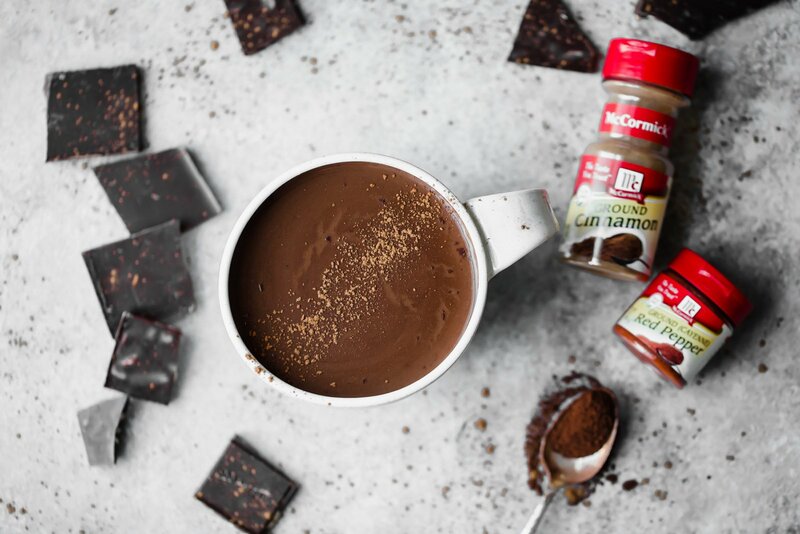 8 Responses to "Vegan Mexican Hot Chocolate"
This looks so sweet and creamy! The almond and coconut milk combination is genius! The perfect warm drink for Valentine’s day, for sure. I’ve been experimenting more with that milk combo and it’s absolutely delicious. You’ll have to give this one a try and let me know how you like it!